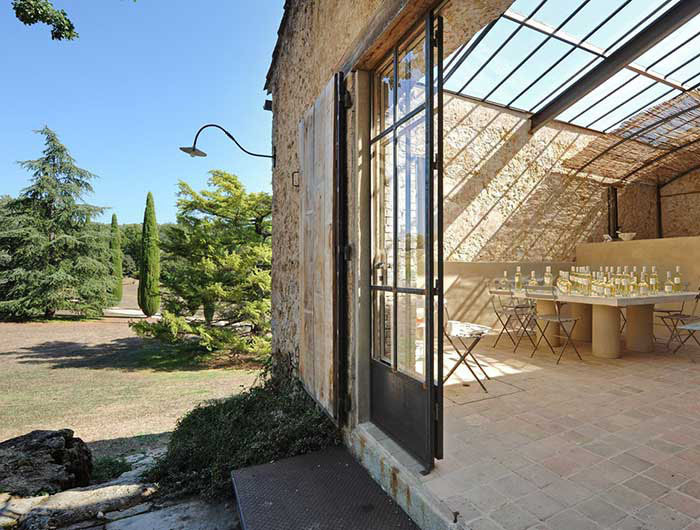 Winery Location: The estate is situated at Lorgues within the Côtes de Provence AOP area. Terroir: The estate is exclusively planted with white grapes varieties for a unique production of white wines. The vines are planted on 10 terraces with Southern aspect. The soil is stony, offering ne drainage quality. The bedrock contains brownish clays able to retain the necessary water in order to provide the best balance of the maturity for the grapes. 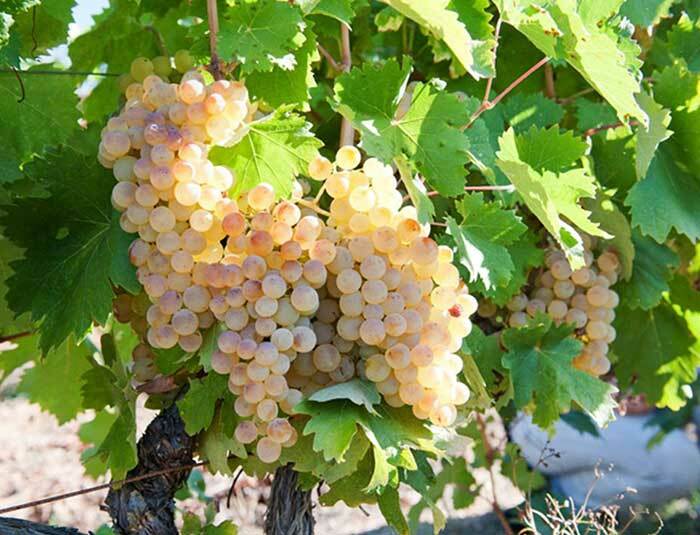 Grape varieties: Rolle (also known as Vermentino) counts for 80%, completed by Sémillon 20%. 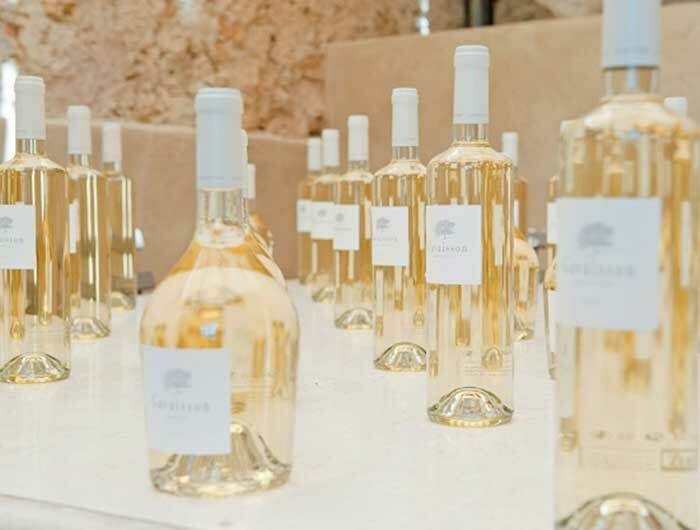 The two grape varieties are specic to the Côtes de Provence AOP and were selected to match the soil and climate conditions of the area. Harvest: The grapes are hand-picked in order to select and sort the best bunches into small crates of 25 kg. Harvest takes place at night time between 2 AM and 9 AM at around 8-10°C of temperature to avoid the day time heat that can reach 30-35°C, eventually oxidizing the juice and disturbing the clarication of the must. The 2015 humid spring and the hot summer led to a forward maturity. The harvest started 31 of august and finished 9 of september with a generous maturity and very fine health for the grapes. Winemaking: The fresh grapes are sorted in the vineyard and in the cellar, then the whole bunches are pressed. The must is kept cold under carbon dioxide in order to preserve it from oxidation. The clarification takes place into stainless steel vats followed by the alcoholic fermentation involving only natural yeasts. The fermentation takes place for about 3 weeks in 3 kind of vessels: 1/3 in stainless steel vats, 1/3 in egg-shaped concrete vessels and 1/3 in new oak barrels. Racked off the gross lees, they continue to mature on their fine lees in the same vessels up to the final blend of the three proportions. The bottling and storage at constant temperature of 15°C is followed by 10 months of further maturing in the bottle prior to commercialization. Emotion 2015 was bottled on the 27th of June 2016. Tasting: Of medium lemon colour, the nose of the wine is quite pronounced, with a primary character interlacing sweet peaches, pears and herbal notes of mint and lemon-grass. Some lemon peel brings spiciness to the whole. Subtle vanilla, buttery and creamy hints testimony of the mastered influence of the oak. Still very youthful, the wine looks complex, with well-defined and ripe aromas. The palate is dry, but quite rich through its medium acidity, generous character and layers of smooth mouthfeel. The intensity of the flavours goes hand in hand with the nose and shows lots of sweet vanilla and other spices brought by the part of barrel maturation. Full-bodied gastronomy wine, can drink now, but it is worth waiting for a fully development in 1-2 years. Cellaring potential of about 5-7 years. Winemaking: The fresh grapes are sorted in the vineyard and in the cellar, then the whole bunches are pressed. The must is kept cold under carbon dioxide in order to preserve it from oxidation. The clarication takes place into stainless steel vats followed by the alcoholic fermentation involving only natural yeasts. The fermentation takes place during about 3 weeks at controlled temperature (15-18°C). Racked off the gross lees, they continue to mature on their fine lees up to the final blend. The bottling and the storage at constant temperature of 15°C is followed by 10 months of further maturation in the bottle prior to commercialization. Inspiration 2015 was bottled on the 29th of May 2016. Tasting: Of a pale yellow colour, the wine offers pronounced aromas ranging from pears, golden apple and peaches to hints of citrus reminding the citron fruit. This primary, youthful character comes along with airy flowery notes of honeysuckle and hawthorn. Ripe, complex, well-defined. The palate shows medium acidity and a certain richness typical to the vintage. It totally reflects the nose in terms of the intense flavours: all the fruity panel and some zesty citron fruit that gives a pleasant bitter touch on the nish. Its rich mouthfeel and long finish, complete the feeling of a medium to full bodied wine. Enjoy now, or wait for 2-3 years up to the full development, the wine can be cellared for 6-7 years. Concept, design and programming for this site: All About Advertising (link), Munich, in collaboration with Unique, Monaco (link). The content of our site was prepared with the greatest possible care. We cannot, however, accept any liability as to the accuracy, completeness or timeliness of this content. As a service provider, we are legally liable, according to article 7, paragraph 1 of the German law enacting directive 2000/31/EC on electronic commerce, for our own content published on this website. According to articles 8 to 10 of the German law enacting the directive 2000/31/EC on electronic commerce, we are not, however, required to monitor or to verify the possibly unlawful nature of any third-party information transmitted or recorded. This shall be without prejudice to the legal obligation to remove or disable access to such information. It should be noted that our liability in this matter comes into force only from the moment at which we have specifically become aware of such a breach of the law. In the event of proven breaches of the law, we will proceed without delay to remove such content. Our offering contains links that point to third-party websites, the content of which we have no influence over. For this reason, we similarly accept no liability for such third-party content. The operator or the supplier of the corresponding site of origin shall be liable for the content of sites to which these links point. The linked sites were checked for the legality of their content at the time when the link was established. No breach of the law was detected within the content at the time that the link was established. It is, however, impossible to monitor the content of linked third-party sites permanently in the absence of a concrete suspicion of a breach of the law. In the event of proven breaches of the law, we will proceed without delay to remove such links. The content and the works that can be accessed on this site and that derive from the site’s operators are subject to the laws of Germany on copyright and intellectual property. Any reproduction, adaptation, dissemination and exploitation of any kind whatsoever outside the boundaries of copyright law shall require prior written permission of the author or creator concerned. Any downloads and copies made from this site may be used only for private and non-commercial purposes. To the extent that the content of this site was not created by the operator itself, the copyrights of third parties are also respected. In particular, any third-party content is identified as such. In the event that you nevertheless discover a violation of copyright, we would be grateful if you would notify us of this. In the event of proven breaches of the law, we will proceed without delay to remove the contentious content. 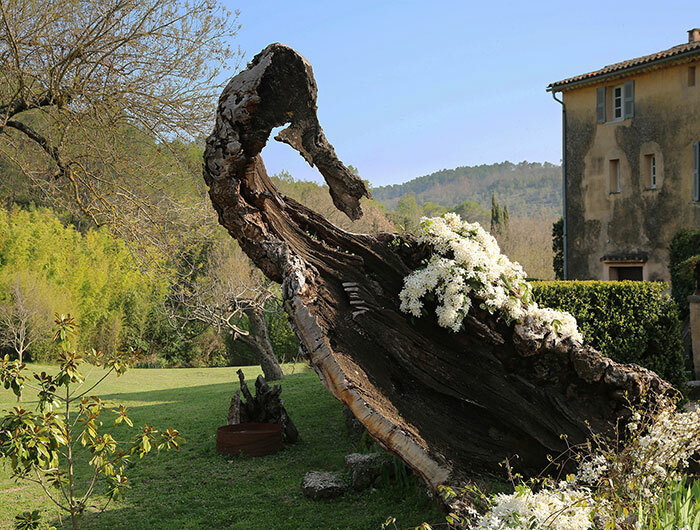 In the heart of Provence, Gavaisson is a bastion of peace and serenity over which Gerda Than has presided for more than twenty years. It is a place hovering on the boundary between dream and reality. A unique place where thousand-year-old traditions are combined with state-of-the-art technology. A place where flowing waters spring from Mother Earth; where light shimmers against the vines and the rolling hills that recede into the sky. 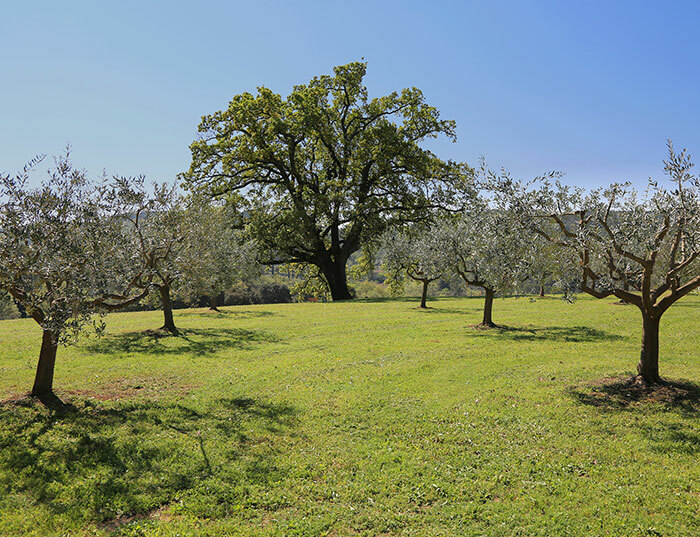 A place where golden olive trees stand before 300-year-old oaks; where vines are cultivated but the woods grow wild. Gavaisson is a place where nymphs and fauns might dance a Provençal dance to the chimes of the waterfall and the chant of the wind. 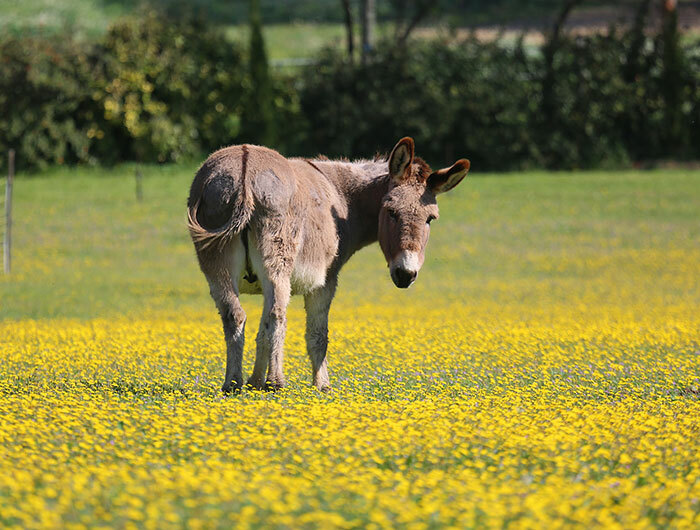 A place where the flowers of the Mediterranean are encased like jewels in tiny rock gardens or nestle on the mossy banks of the canal and sweet-flowing streams. It’s a place of laughter, song, and dance… Yes, Gavaisson, is home to every shape and form, to every style of garden. In Greek, Gavaisson* signifies an arrival in a promised land. 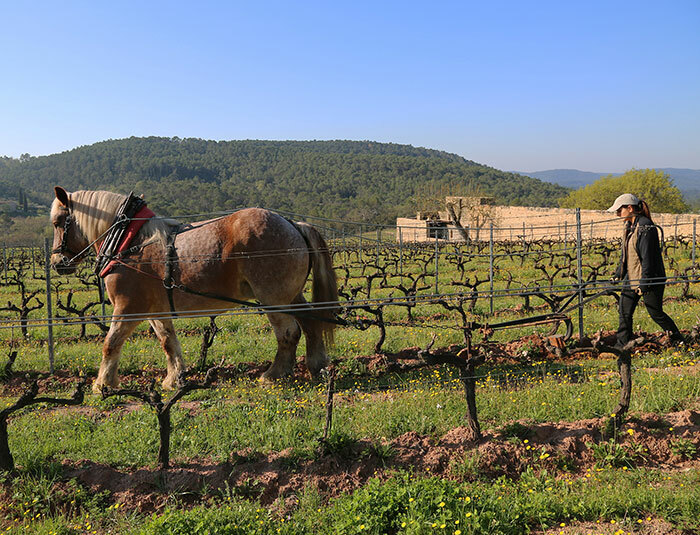 The vines at Gavaisson were planted around twenty years ago in pebbly ground, rich in white limestone and containing just enough clay to ensure the vines reach maturity in the sunny days of September. At Gavaisson, we let excellence speak for itself, with no need for clever experiments. 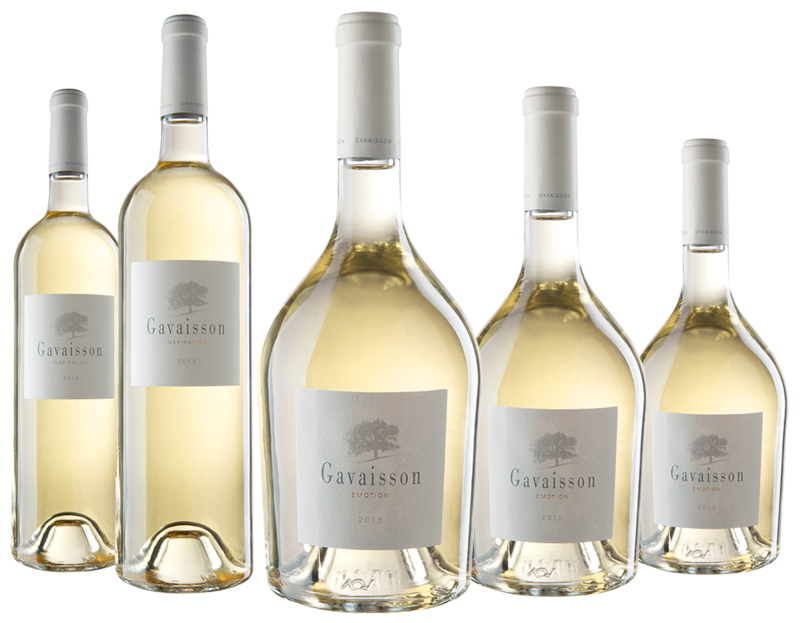 That’ s the richness of the Gavaisson white wine, made from carefully selected grapes which are grown on just eleven specially prepared terraces. The Rolle (or Vermentino) grape was chosen for its complexity of flavour when harvested at full maturity, while the Semillon lends a certain structure and fullness of body. Each grape is appreciated for what it can bring and is therefore grown and treated in the most natural way possible. In fact, everything is done to promote a natural ecological balance – a balance that helps to harmonise all the elements involved in the production of the Gavaisson white wines. ALL GAVAISSON PRODUCTS ARE GROWN IN CERTIFIED ORGANIC CONDITIONS. OVER THE COURSE OF THE FOLLOWING MONTHS, THE WINE IS GIVEN CONSTANT CARE AND ATTENTION TO ENSURE THAT ITS SPECIAL FLAVOUR AND DELICATE BALANCE CAN DEVELOP. 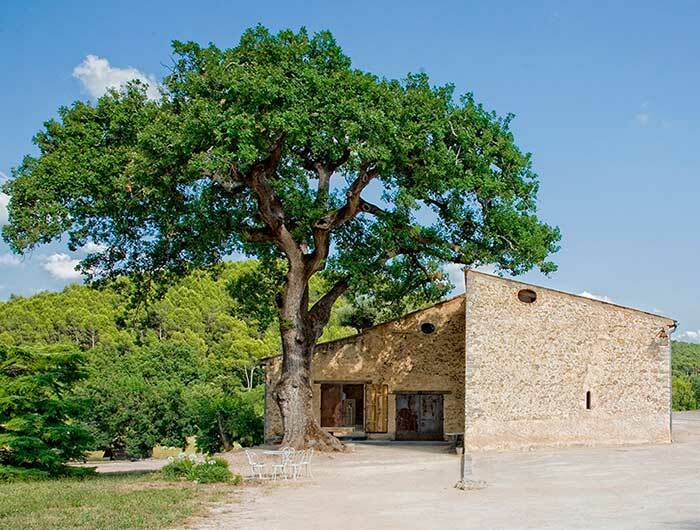 Built in a former sheepfold, the cellar houses state-of-the-art wine-making equipment within a design of traditional wood and stone. It’s a place where Gavaisson white wines are produced on the basis of noble traditions combined with modern techniques. In the early mornings of September, the grapes are picked and carefully placed in small crates to prevent them from being spoiled or overheating. They are then quickly sorted and pressed to avoid any danger of oxidation, before the juice is collected in stainless-steel vats which are separated into batches of either free-run or pressed juice. These are chilled to less than 10°C so that static clarification (or settling) can take place. 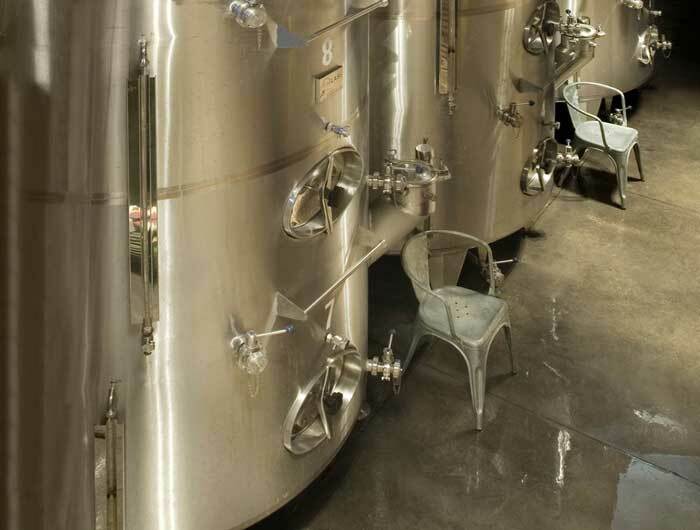 After racking, we allow the alcoholic fermentation process to begin by keeping wine at a temperature of between 15°C and 19°C, partly in the stainless-steel vats, partly in new oak barrels and – from the 2013 vintage onwards – in an oval-shaped, natural cement tank to promote the flow of liquid required for fermentation. Once the turbulence associated with the fermentation process has ceased, the wine is transferred into other tanks or vats so that it can age. Over the course of the following months, the wine is given constant care and attention to ensure that its special flavour and delicate balance can develop. 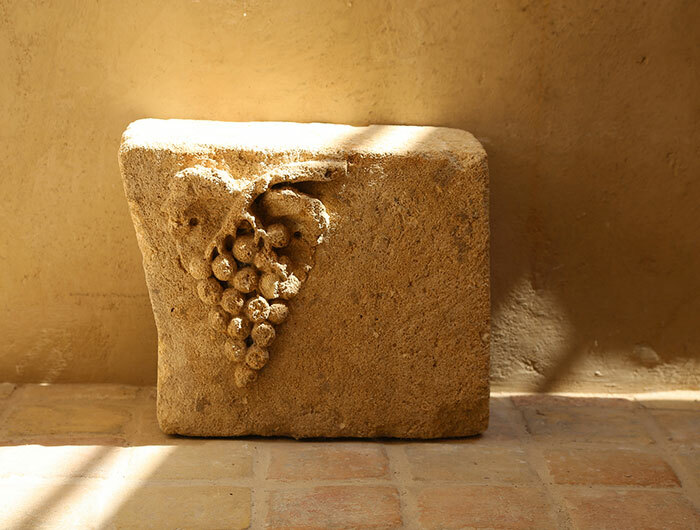 The miracle involved in the creation of any wine depends on a whole variety of factors. It is, however, the way that the winemaker selects these factors and responds to them that gives a wine its own personality. 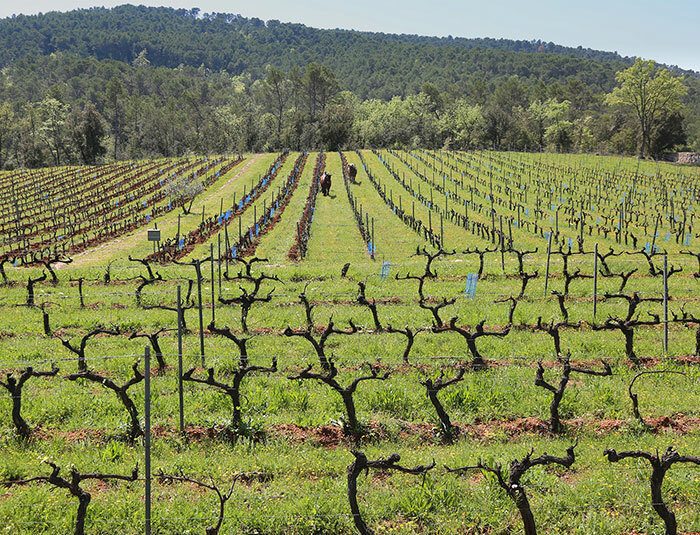 It is in the special characteristics that make up its terroir that Gavaisson excels. Avant de déboucher la bouteille, regardez-la scintiller. Le grisé de l’étiquette fait encore mieux ressortir sa brillance. Les reflets verts miroitent dans l’ivoire. S’il était peint, ce serait par Fragonard; mis en musique, ce serait par Lully; chanté, ce serait par Verlaine. Un vin de lumière et de joie. 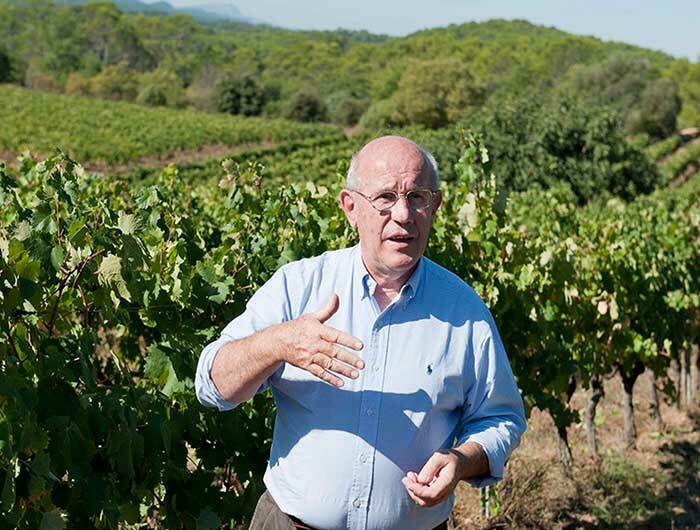 Toute l’harmonie et l’équilibre de Gavaisson s’inscrit en filigrane dans son vin: racé et d’une grande finesse, galant et sensuel, noble et puissant. Un vin affectueux et équilibré dans sa structure, complexe et riche dans ses arômes. — Vendanges: A maturité optimale, les grappes sont cueillies de façon manuelle en vendange nocturne pour bénéficier de la fraicheur de la nuit avec un tri rigoureux à la vigne et, en cave, sur table de tri. — Vinification: Pressurage doux (pressoir pneumatique) sur raisins entiers. Débourbage statique au froid puis fermentation à température contrôlée (15°-19°C) en cuves inox, béton ovoïde et barriques de chênes neuves. Soutirage dès la fin des fermentations. Dégustation répétées et assemblage final pour la création des cuvées. Léger collage pour éliminer les protéines instables puis clarification par sédimentation naturelle, et mise en bouteille. 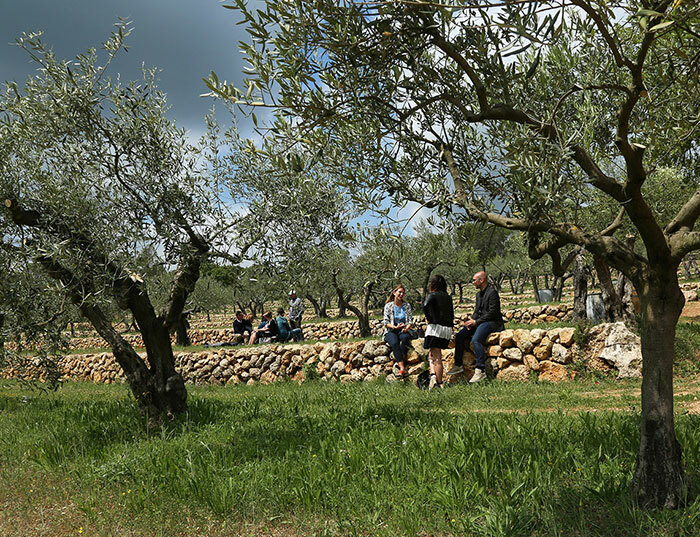 Alongside wine, of course, olive oil is the other shining jewel of Mediterranean civilisation. It was Athena, goddess of knowledge, who gave mankind the olive tree as an example of immortality and growth, power and health, and peace and humanity. Its oil is the golden essence that flows from the dark but shining fruit, like an onyx offering worshipped by ancient kings. 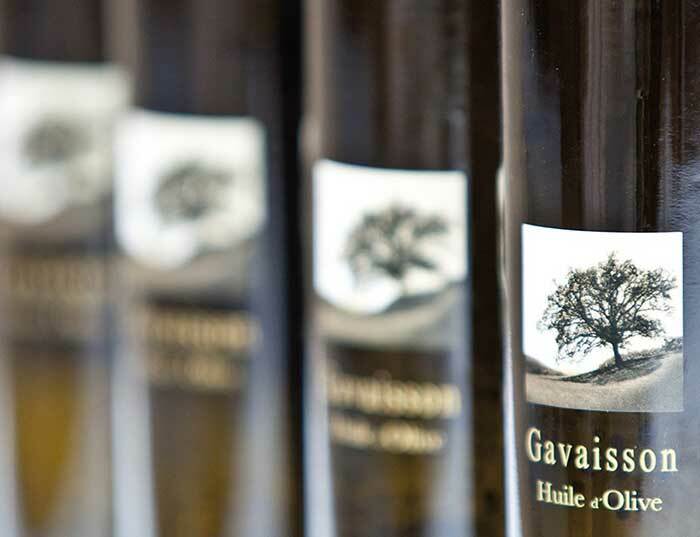 The olive oil of the Gavaisson estate is a blend of the Aglandau olive – a punchy variety with hints of artichoke in its flavour – and the Bouteillan – an intense olive with notes of ripe pear and mown grass. The oil is extracted in a way that combines the most up-to-date of methods with the tried and tested techniques of old.